Solo traveling can be intimidating to a new traveler, but it’s something everyone should try at least once. 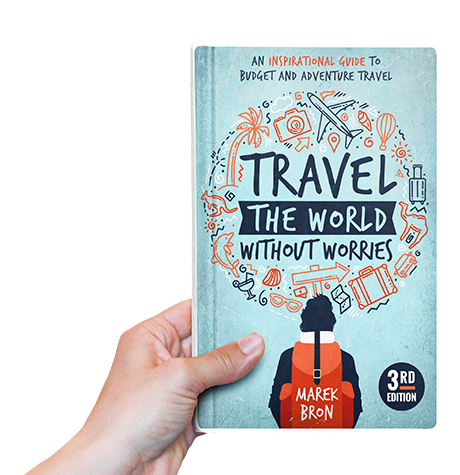 Though even when you’ve studied the guidebooks front to back, you might still not be ready for the incredible yet vast world of traveling alone. Realistically, you can travel by yourself anywhere, but the amount of challenge you’re willing to face on might vary. Do you want to dive in head-first and get lost in a place with a thick language barrier while hoping for the best? Or do you want to dip your toe in with a simpler country that’s more relatable to your own customs? Taking the first step in traveling solo is less scary when you can see how it has inspired others. If you’re lost on where to start, these recommended places to travel (as chosen by 10 travel bloggers) should help point you in the right direction. 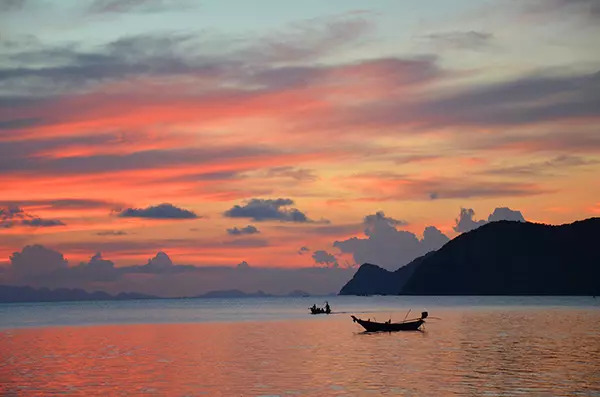 When it comes to great destinations for new solo travelers, Thailand would be my choice. It’s where I first encountered backpackers and had my eyes opened to the idea of long-term travel. But why is Thailand great for a new solo traveler? It has a great party scene, plenty of hiking and outdoor activities, delicious food, relaxing islands, plenty of places to dive (or learn how to dive), and enough locals speak English so your trip won’t be too difficult. With a developed backpacking scene, it’s also really easy to meet other travelers, which is really important when you’re traveling solo. Of course, it’s also very different from North America and Europe so you’ll be sure to experience a good amount of culture shock without having to worry about your safety. Throw in some awesome events (like their multi-day water fight Songkran that celebrates the New Year) and you’ve got yourself a solid foundation for a life-changing trip! A solo trip to Thailand is essentially Backpacking 101. Sure, it’s maybe a bit stereotypical these days— but it’s that way for a good reason. Guatemala was the first country I traveled to alone. I was 17, I had never left Europe before, and I remember literally trembling with fear as I got on the plane! Guatemala is a beautiful, colorful country with a rich history, beautiful nature and welcoming people. What makes it easy to travel solo here, is that it’s a popular destination for young backpackers. I met people from day one at a Spanish school and at the volunteer work I ended up doing and at hostels. Many of the travelers you will meet are also alone which makes it very easy to find people to hang out with, to travel with or to just get tips from on where to go next. On top of that, Guatemala is very cheap by Western standards, and buses take you anywhere you want to go. Since most Guatemalans don’t speak much English, I do recommend taking some Spanish classes. 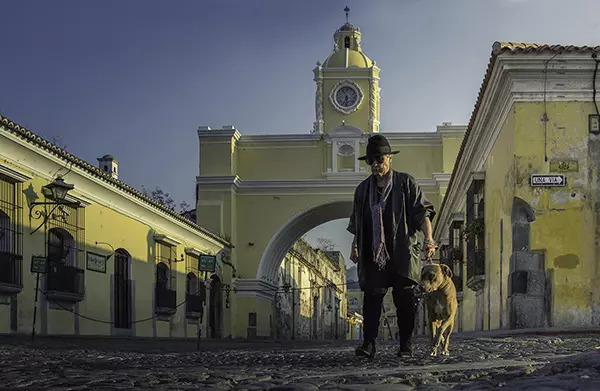 Antigua, Guatemala’s former capital is a popular place to take Spanish lessons and a beautiful, lively town well worth spending some time in. Even now, after having lived in more than 10 countries all over the world and having traveled to many more, my 6 weeks in Guatemala remain some of my most precious memories. To enter a world so different from your own when you are still so young and inexperienced is a truly unique experience and no matter how scary it might seem at first, I recommend it to everyone: start traveling solo at a young age! Japan was the first country I truly traveled solo. It was almost ten years ago before I was much of a traveler. I had simply been sent to Tokyo for a work trip and had added the weekend to explore by myself. This threw me into the deep end—and I’m glad it did. Tokyo felt equal parts delightful and confusing: the bright lights, the tiny ramen shops that seat only three people, the waves of pedestrians crossing at Shibuya, the taxis that somehow still look like they’re from the 1980s, the toilets that have about 20 different buttons on them—everything in Japan is a potential mini-experience. At times you can picture yourself gliding through scenes like your eyes are a movie camera — in fact, parts of my stay felt like the film Lost in Translation. I sat in the same chair as Bill Murray in that hotel in Shinjuku, met a charming and beautiful French-Japanese girl, and inexplicably found myself at the album launch party of a Japanese reggae band. I actually don’t know for sure if Japan is the easiest country to meet other travelers or locals. Then again, the people are incredibly respectful and helpful to foreigners, the country is safe enough to walk into any alley without fear, and it’s a place where you can get beautifully lost even by yourself. I highly recommend it. It’s hard to pick just one place, but if I had to it would be Vietnam. It’s got all the fun (and culture-shock) of a classic backpacker destination like Thailand without the polish and heavy-handed party scene. It’s cheaper than Thailand, just as safe, but a bit more quirky and unfamiliar. There is a well-traveled backpacker scene so a new solo traveler will have zero problem meeting friends. There are enough English-speaking people in case you have a problem, but not so much that you’ll feel right too comfortable. It’s dirt cheap (around $3 per night — which may include breakfast and free beer) and there was something for everyone: beaches, adventure sports, hiking, and bars. I’d go back in a heartbeat! One memory that stands out was at my last stop in Vietnam: Saigon. I had a bunch of cash I needed to exchange and, not sure where the closest exchange was, I asked one of the staff members at the hotel. Instead of suggesting I go to some standard currency exchange place (where I’d get a terrible deal) he wrote directions down to go to a black market exchange out of some jewelry store. It took some time to find, and my confidence wasn’t brimming, but eventually I went in and got the currency exchanged. The man spoke broken English but when I told him I was from Canada he gave me a half-toothless smile and a thumbs up. It was just a little moment, but as a solo traveler, those are the moments that matter. Belgium is one country I’ve spent a lot of time in. So far, I’ve been flying solo each time – and I wouldn’t change a thing! My first impression of Belgium was hitchhiking in West from Germany which gave me a quick introduction to the locals – each one being friendlier than the last. The last driver I had of the day was initially only going to take me a short distance, but ended up going 40 minutes out of his way to take me safely to my Couchsurfing host in Gent. My host, Sven, happily gave me a tour around the city showing me the highlights and gave me quirky bits of knowledge about the city that I never would have otherwise discovered. On top of that, he took me along to a party his friend was throwing for his dog’s birthday, which only introduced me to more of the friendly locals. Belgian locals tend to be very open to foreigners and often have a perfect grasp of the English language, removing fear of miscommunication from your worries. 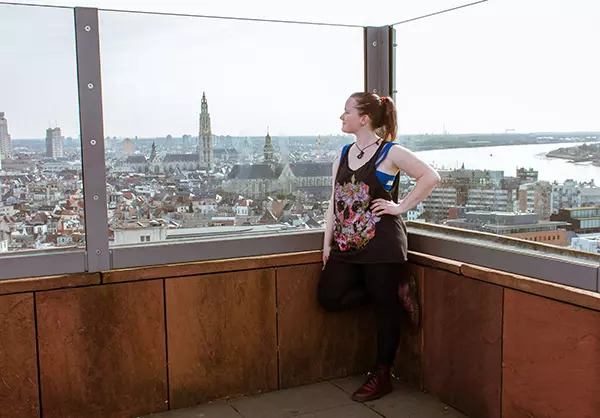 All of the major cities, from Gent, to Brugge, Antwerp and Brussels, bring their own unique vibes to the table, but each location in this country is a perfect choice for a first time traveler. Panama is one of the best countries for solo travel because Panamanians love adventure. The country is full of waterfalls – literally thousands! As well as waterfalls, you will find endless hikes, epic beaches, and island getaways. Essentially, it is an adventurer’s paradise. Unlike many countries around the world overwhelmed with tourism, Panama seems relatively low key. 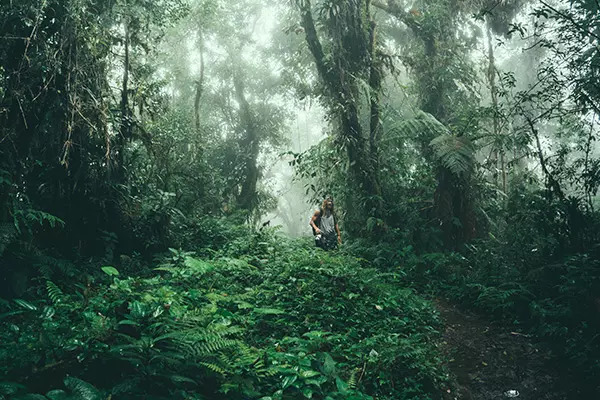 This is why local Panamanians are keen to show fellow adventurers from around the world the beautiful places in their country. While traveling solo in Panama, I have met so many incredible locals who have made me feel like their best mate for the day! On one day, two locals I chatted to online picked me up and took me to all of their favorite waterfalls. When you travel solo you really cherish these days more so than when you are with your own friends back home. We ate Panamanian food and they taught me Spanish as we tried our best to have a good conversation. You don’t find these kinds of experiences in a Lonely Planet guidebook. You find them on solo travel adventures with locals who go out of their way to make sure you enjoy their home, which they are immensely proud of! Cuba is a country that went straight for my heart when I travelled there solo for 3 weeks. It did live up to its reputation of being a rough place to travel, but the unpredictability is a huge part of its appeal. What I loved about the country, is the way music isn’t seen as just recreation, but rather felt as the blood in one’s veins. I remember passing by the most threadbare of houses in central Havana where even a layer of paint hasn’t been laid upon the bricks that make their walls, but a shiny new music system sits right in the centre of the house, reggaeton blaring and hips shaking. I noticed a strong sense of community and the aliveness of interpersonal interactions, fostered by a lack of constant easy internet. People look at faces far more than screens. I stayed with locals in casa particulares (Cuban B&Bs) after a lovely week as a Press Week guest with Mhai Yoga Retreat Centre. 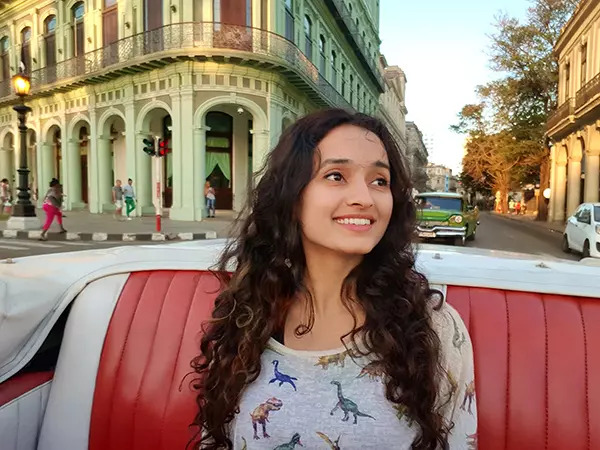 My favourite memories would be the salsa classes, the days I spent hiking in the Topes de Collantes National Park, and walking the streets of Havana, observing the way people carry themselves with that distinct Cuban swag. Mass media has yet to take a swing at people’s instinctive love and acceptance of their bodies here, so Cuba was quite the lesson in body positivity as well. 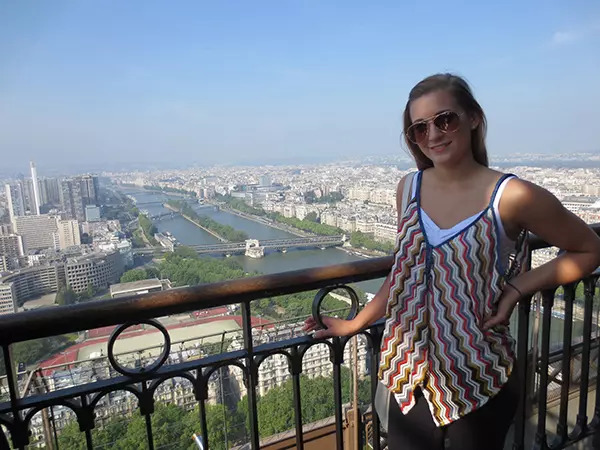 My favourite solo trip was actually my very first big trip abroad: I travelled across Europe! I started in London and went to France, Italy, Switzerland, Austria, Spain, and a couple others along the way! Travelling through Europe is a great place to travel solo because it is so safe and the language barrier is manageable. If you are nervous about travelling alone, then choosing a place that feels more comfortable is a great place to start! Plus, Europe is perfect for getting a huge dose of various cultures without having to actually travel too far in between. Since this was my first big trip abroad, I chose to travel on an organized bus tour. 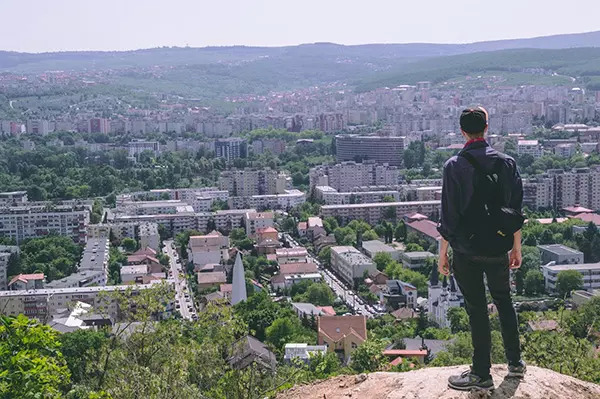 An organized tour is best for a new traveller as you are still technically travelling solo, but have a little guidance along the way if needed. While this isn’t the most cost-effective way to travel, it is great for solo travellers because there is very little planning involved once you join the tour group, and the people on the tour quickly become your friends. In fact, a few of the people I met I still keep in contact with today – one of them is Dan, who is my current boyfriend and travel partner of 4 years now! 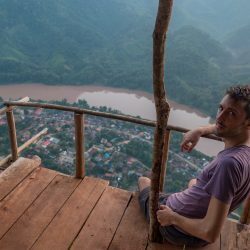 I’ve traveled to over 40 countries around the globe (most of them alone) and I can confidently list Myanmar as one of my top favorite travel destinations in the world not just for general travel but especially for solo travel. Myanmar’s beauty, culture, food, friendly and resilient people, affordability, safety, reliable transportation systems, and its abundance of opportunities to immerse yourself in the local culture and nature make it easy to fall in love with the country. As a solo traveler, I was welcomed and embraced by the locals as I explored the country from south to north. Families would welcome me into their villages when I’d pass by on my e-bike, even if just to sit down for tea. Since it was formerly a British colony, many local Burmese can speak English so connecting with them is a lot easier than in many parts of South East Asia. I also met with younger hip locals in Yangon who took me out to see a local glitzy side to Yangon’s nightlife which I wouldn’t have discovered without them. Hearing first-hand local perspectives from older and younger Burmese was fascinating and helped me to better understand my travel experience around the country. In addition to friendly locals, I also befriended dozens of other solo travelers both of whom I am still friends with today. With high-quality hostel accommodations in Myanmar’s most popular destinations, it is very easy to meet other solo travelers and join in on group excursions. 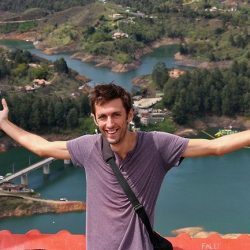 Ostello Bello Hostel made it easy for me to make new friends throughout the country and offered various services to link up with others such as free tours, overnight hiking adventures, e-bike riding experiences, and more. Some of my best memories in Myanmar were sharing boat rides and tours with other like-minded solo travelers interested in local culture. 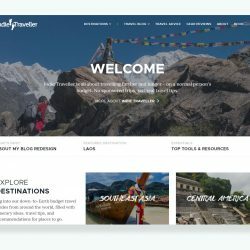 Check them out if you’re interested in linking up with other solo travelers while in Myanmar! If you’re more introverted and appreciate your solo time, don’t worry. 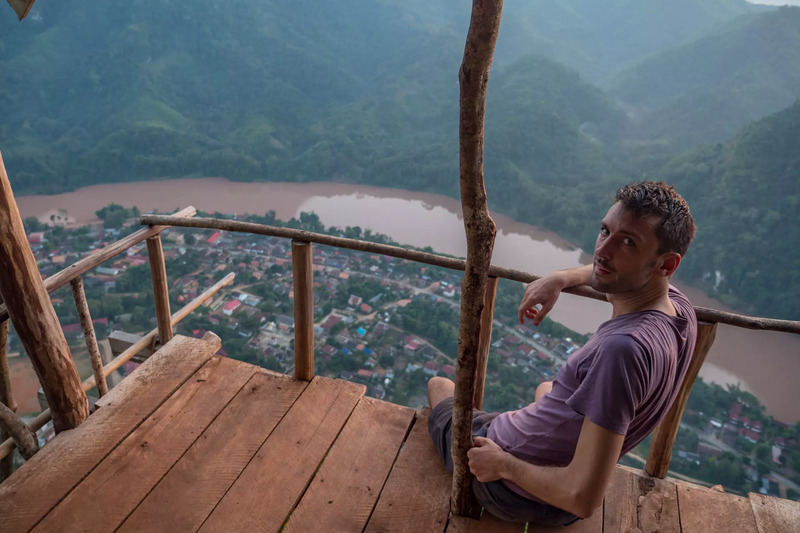 It’s easy to find solitude, peace, and spirituality in Myanmar’s temples and nature. D.C. is known for the 3M’s – museums, monuments, and the National Mall. What do these all have in common for the budget traveler? They are all free. Washington D.C. is the capital of FREE! I have solo traveled to D.C. many times, but a few experiences stand out. Once, I met a group of strangers who became friends while paddling an outrigger canoe down the Potomac. It was fun to see the monuments from the water, but what I enjoyed most was the barbecue back at the boathouse. Another trip just so happened to overlap the peak of cherry blossom season. 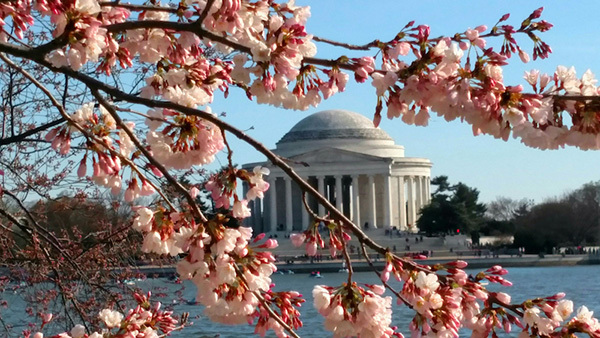 I walked solo through the crowds at the Tidal Basin enjoying the cities 3,000 cherry trees in full bloom. I crave the ethnic food of Washington DC. All of the international visitors and embassies make D.C. a real foodie destination. During my first solo trip, I found an amazing Nepalese restaurant right across from their embassy. On top of that, I also love a North Italian place in Crystal City and a Peruvian place behind the White House. So many meals, so little time! Washington D.C. is a town built for travelers from the attractions to amenities. It’s the perfect combination of quintessential America and international influence. Awesome! I had previously never traveled alone (always at least met someone at the destinations I was going to) and had my first solo experience when I decided to MOVE to Scotland. I definitely need to take the solo travel route more in my life. It’s just so scary & lonely to me! It’s so inspiring to hear all of these solo travellers doing their solo travels! Makes me more eager to explore on my own! Good choices! Yes, I also think that traveling solo anywhere in Europe would be amazing! My favorite place for solo travel is Rajasthan, India.